We have locations in Cicero, Madison, Norwich & Oneida and serve the entire state of New York. I cannot tell you how happy I am that my friend George Purpura told me about Tanner in Madison. I saved almost $500. compared to what I was paying for my car insurance with Hartford thru AARP. I also downsized from my house to a mobile home and moved to Schuyler. 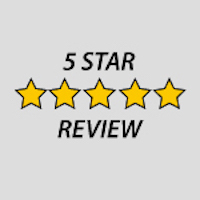 VIcki was very helpful and I was able to buy an affordable Homeowners policy. They will have my business for a long time ! Tanner Insurance is always available to help with any questions we have about our insurance coverage. They have a very friendly staff as well. Staff is friendly, fast, and just great to work with to solve insurance problems and answer questions. Insurance News & Tips You Can Actually Use! How To Save Money On Your New York Car Insurance – REALLY!